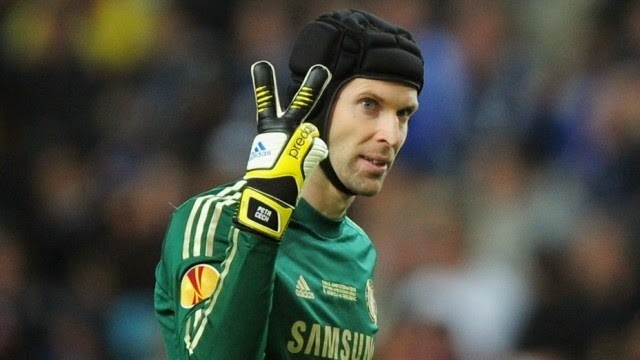 PSG join Arsenal in Petr Cech race Arsenal boss Arsene Wenger has been given a big blow as French giants Paris Saint Germain has entered the race to sign Chelsea goalkeeper Petr Cech. Arsenal boss Arsene Wenger has been given a big blow as French giants Paris Saint Germain has entered the race to sign Chelsea goalkeeper Petr Cech. Chelsea stopper Petr Cech has said that he will leave the Stamford Bridge at the end of the season and with the news several of top clubs have already started discussions over his move. Arsenal have been targeting him for the past several months and was expected to win the race but the recent news has given them a blow as PSG have now entered the race to sign the World Class keeper. Daily Mirror reported that PSG boss Laurent Blanc is keen to land a goalkeeper this summer, he has also targeted his countryman Hugo Lloris who is also eyeing to leave Tottenham Hotspur for a Champions League club. The Blues boss Jose Mourinho has also told Cech that he will be free to choose his next club once the season gets finished. Arsenal are in need of a World Class keeper and current keepers Wojciech Szczesny and David Ospina are not consistent for the Gunners. However, the north London outfit will now search for other stars as they are expected to lose the race for Cech.